The 2017 Trends in Agricultural Wage Rates data showed that salaries for agricultural workers averaged at P280.37 per day during the year. 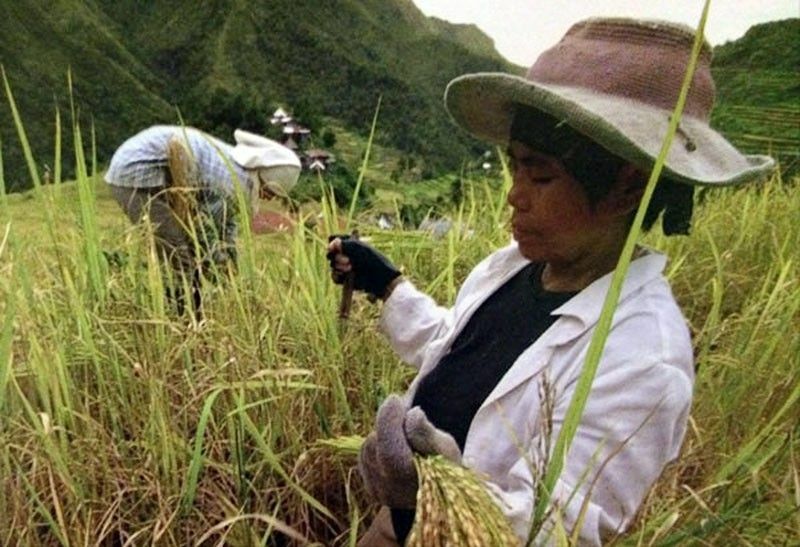 MANILA, Philippines — Female workers in the agriculture sector — the least performing economic sector in the country—continue to be paid less than men, latest data from the Philippine Statistics Authority (PSA) showed. Across regions, the daily nominal wage rate was highest in CALABARZON at P370.14 and lowest in Central Visayas at P236.97. Male farm workers were paid P284.72 per day, higher than what was paid to female farm workers at P255.80 per day. Daily wage rates were highest in CALABARZON for male farm workers at P371.72 and for female farm workers at P351.07. The lowest daily agricultural wage rates for the males were recorded in Central Visayas at P238.80 and for the females in Eastern Visayas at P217.98. The pay gap between male and female wages was most pronounced in the MIMAROPA region at P64.35 per day. In terms of commodities cultivated, palay farm laborers registered the highest nominal wage rate at P303.98 per day while corn farm workers received the least wage rate at P246.05 per day. Meanwhile, the daily nominal wage rates of those working in coconut and sugarcane farms were pegged at P 271.72 and P 253.69, respectively. In palay farms, the wage rates of male and female laborers corresponded to P309.83 and P277.44, posting the biggest wage differential of P 32.39 per day. In contrast, the gender wage gap at P 20.30 per day was smallest in corn farms where male workers were paid P251.21 while female workers received P 230.91 per day. The latest farm wages survey covered 5,540 sample households who hired farm workers particularly for the four major crops: palay, corn, coconut and sugarcane.